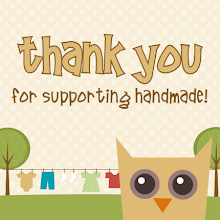 Owly Baby: Swimsuit for ME! I've taken a few deep breaths and I'm ready to share photos of my swimsuit! This blog post is a good exercise in body image confidence! Anyways, I was looking at swimsuits at anthropologie.com and decided to borrow a few style elements. I liked the curves on the bikini tops and also the ruffles. Those two elements are also supposed to give the illusion of a bust to those less gifted (like myself). My bust is extremely out of proportion with my hips. But, back to the topic. It's hard to see in the photos, but the light blue fabric has off white polka dots. Gingham and polka dots, that's how I roll! Without further apology, here is my new suit! Here we are at the cabin, warming up after the frigid water. I opted to keep my suit on, unlike my free spirited daughter. Love the ruffles and fabric you picked. The swimsuit (and you!) look great!! Love the posts, get over your body...you are HOT..now mom (grandma) is going to kill you for posting pictures of her in a bathing suit. you are an inspiration to everyone!